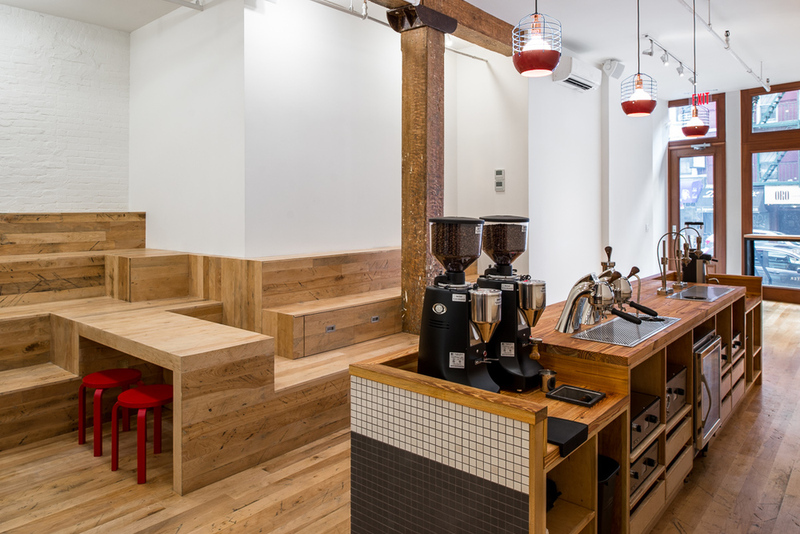 This space on Broome Street in Nolita was designed in close collaboration with Counter Culture Coffee. 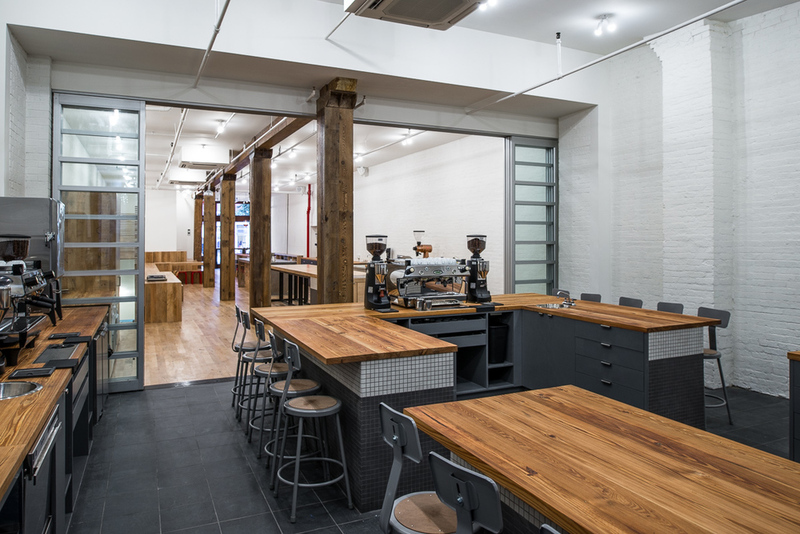 The company's focus on sustainability led to the use of recycled materials such as reclaimed factory flooring, wood bowling alley countertops, and vintage metal kitchen cabinets. 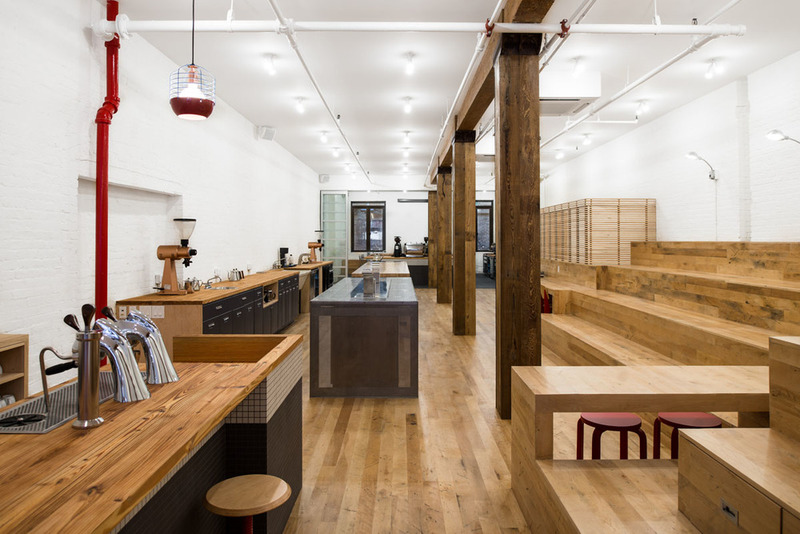 Each counter top was designed for different ways of making coffee. 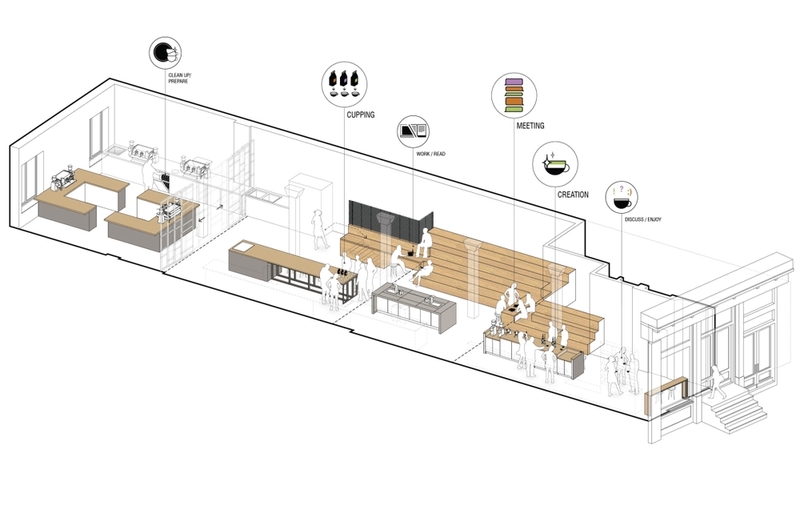 The flexible space is used for classroom instruction, events, and for meetings with baristas and shop owners. 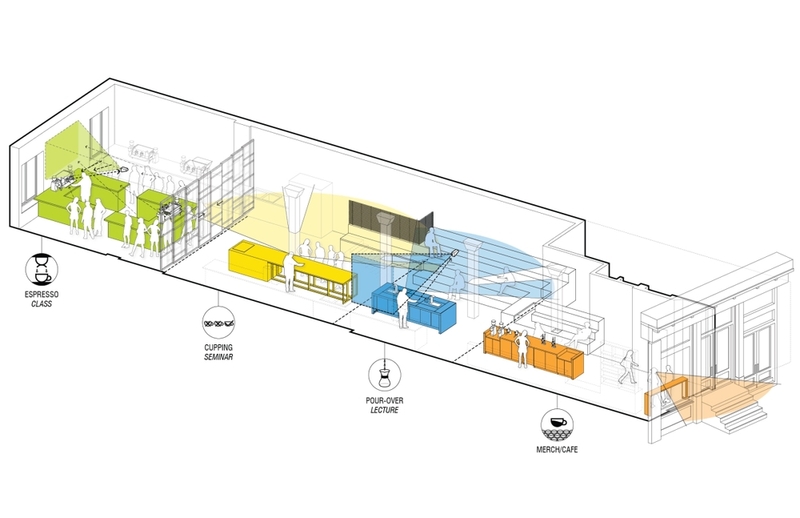 It becomes a way for the company to demonstrate cutting edge coffee technologies, sustainability, and coffee education. Photos by Alan Tansey.